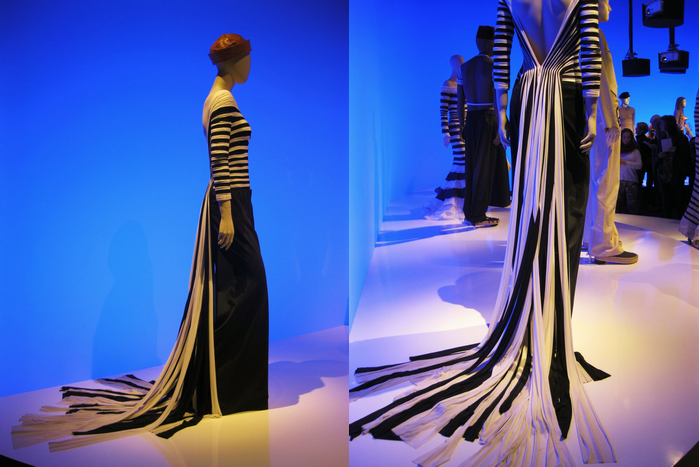 Yesterday I went to the fashion exhibition of Jean Paul Gaultier in the Kunsthal in Rotterdam together with my mother and sister. Just like all other Dutch fashion lovers it seems! 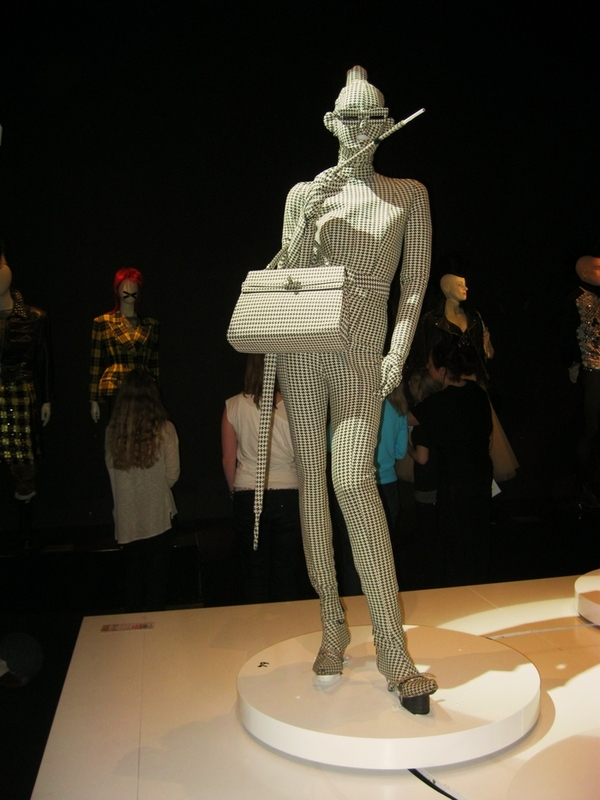 It was very crowdy, but everyone was very patient so everyone got a chance to look at all the amazing creations of mister Gaultier. I was so blown away by the huge amount of breath taking creations. It’s really the best exhibition I’ve seen in ages, so check it out now that you still got the chance! The exhibition is in Rotterdam until the 12th of May. 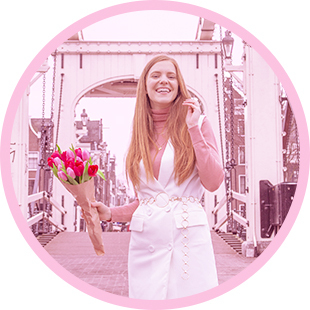 In this post I will show you my outfit and finish with shots of some of my favourites from the collection. As soon as I bought this turban at Beyond Retro in London I felt that it should be pimped up with a brooch. So I took this beautiful brooch from my prom dress and pinned it on the front. I love how it gives the turban just that little bit of extra flavour! Hope you’ll like it! 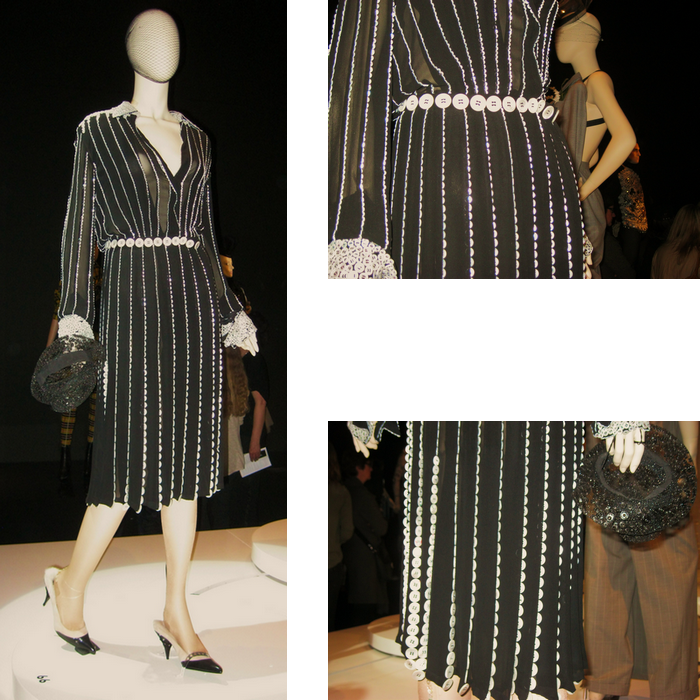 And now… my favorite exhibition pieces! Don’t read further if you don’t want to see anything before going! But there’s only 7 of over 100 pieces that I’m showing, I promiss! Love how he used the buttons! I would love to add this amazing coat to my collection. Also love the wide neckline! Hounstooth all the way! Can I get an amen?! I adore this navy style top with train. Perfect from all angles! All stiffeners covered with flowers. So sweet! Love this lace bodysuit. 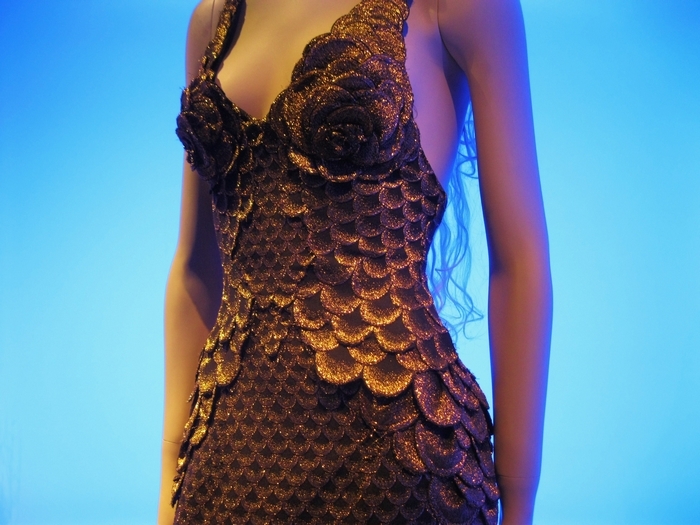 I think Lady Gaga would wear it in a minute! Je ziet er echt super leuk uit! Zooo! Wat zag jij er geweldig uit zeg! Ik ben er ook geweest! Gaaaaf he!! You look stunning and the turban is lovely! Wat een prachtige turban! Dat is weer iets wat mij nooit zal staan maar bij jou vind ik het prachtig! Wat zie je er geweldig uit,echt super leuk de turban!! Wat een geweldige outfit zeg! Je hebt echt een mooie stijl! THAT TURBAN IS EVERYTHING! Love your entire look. Fab. Thank you for all the sweet messages! @Oumaya Thanks! Dat heb ik weer met ronde zonnebrillen, haha!